The latest company to announce a new Android Honeycomb tablet is Medion, with the launch of the Medion LifeTab, which will feature a 10 inch touchscreen display with a resolution of 1280 x 800 pixels. The Medion LifeTab will come with Android Honeycomb 3.2, and it is powered by a dual core 1GHz NVIDIA Tegra 2 processor, and will come with 32GB of built in storage. 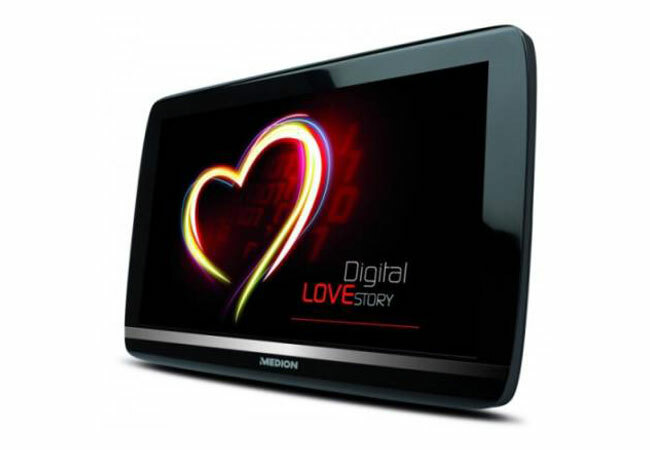 Other specifications on the Medion LifeTab include a microSD card slot, a five megapixel camera on the back and a front facing two megapixel camera for video chat. There is also HDMI out, GPS, 802.11 b/g/n Wifi and quad band HSDPA, it is expected to go on sale in Europe before Christmas for 399 Euros.